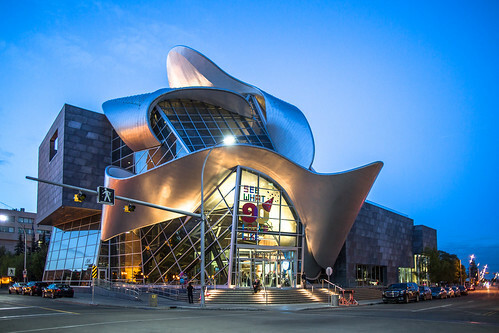 The Art Gallery of Albertais a public art gallery located in downtown Edmonton, Alberta, Canada. The building was designed by Los Angeles architect Randall Stout. Construction of this building began in 2007 and was finished in 2010. Its collection of well over 6,000 works of art includes historical and contemporary paintings, sculptures, installation works and photographs by Canadian and international artists. In addition to its permanent collection, the AGA hosts visiting exhibitions and offers public education programs.